Commercial electrical service is one of our specialties. 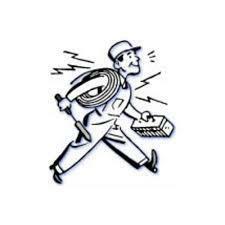 We are equipped to handle any electrical service task your business may have. From data wiring to emergency generators, we've got you covered. Be sure to check out our listing of industrial and commercial jobs we have completed over the years. We are providing the Various Electrical works for Home and Offices. we are govermetn approved electrical contractor. we are also doing electrical wiring work for HT LT Panel, HT LT Cable Laying, Pole Wiring, Indoor wiring, out door wiring, panel work etc. Government Approved Electrical License Contractor.Residential, commercial And Industrial Electrical Works. Doing All Type Of Electrical Works Including Wiring, maintenance And Installation Work.